When I first showed this image to university students as an example of the kind of work-life balance that Belle Epoque magazines were striving for, they immediately thought of this TIna Fey AmEx ad. Today, we embrace the chaos, I guess. But in France in the early 1900s, it was important to show that a being a writer did not the threaten the possibilities for bourgeois perfection. 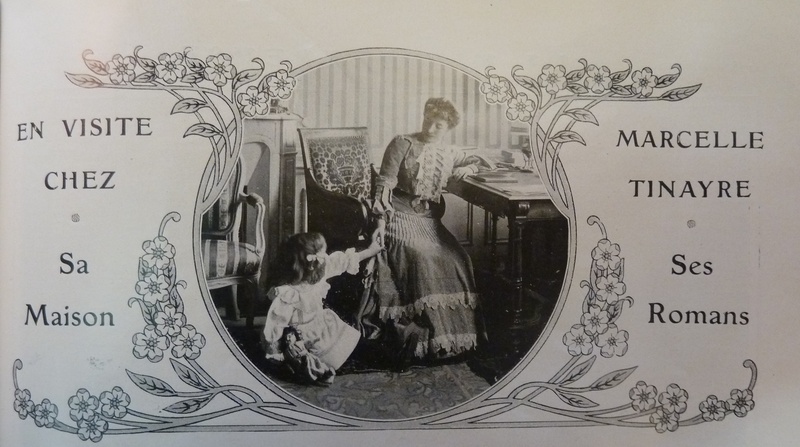 The writer Marcelle Tinayre, pictured here with her daughter, was a darling of the women’s press, but her celebrity was predicated on her ability to balance, as the caption indicates “Her House” on the one hand, and “Her Novels,” on the other.